What do Dr. Martin Luther King Jr., Senator Kamala Harris, and billionaire Oprah Winfrey have in common? They all attended Historically Black Colleges and Universities (HBCUs). This Women’s History Month, Alpha Kappa Alpha Sorority, Inc. (AKA) reinforces the importance of education and HBCUs – a cornerstone in the Black community since 1837. Thirty-two HBCU presidents were invited to the Alpha Kappa Alpha Corporate Office in Chicago on February 28th to receive the first installment toward their college or university’s $100,000 endowment. With a 111-year history and nearly 300,000 members, Alpha Kappa Alpha is the oldest historically African-American sorority. With great ties to the HBCU community, Alpha Kappa Alpha and its charitable arm, the Educational Advancement Foundation (EAF), created the AKA-HBCU Endowment Fund to support student enrollment and retention. In just a single day of fundraising in 2018, Alpha Kappa Alpha was able to raise over $1.2 million towards this initiative. Dr. Glenda Baskin Glover, International President of Alpha Kappa Alpha, Inc.
As a part of their newly established AKA-HBCU Endowment Fund, Alpha Kappa Alpha Sorority, Inc. donated $100,000 to Bennett College. The AKA-HBCU Endowment Fund, in partnership with the Educational Advancement Foundation (EAF), has pledged to distribute $10 million in financial support to 96 accredited institutions over the next four years. –Text provided by Dr. Glover’s publicist. VBS: Dr. Glenda as the Alpha Kappa Alpha Sorority, INC. International President – tell us why Alpha Kappa Alpha exists? GG: Alpha Kappa Alpha is the oldest Greek-letter organization established for college-educated women. The mission is to be of service to the community and to others. VBS: Share with my audience about your education endowment fund. I’m quite impressed. GG: As International President of Alpha Kappa Alpha, each president determines the program initiative for the four years of their term as president. One of my programs’ target is HBCU’s (Historically Black Colleges and Universities) and saving HBCU’s. We’ve determined by analysis of each HBCU, what is needed most, are endowments. They need financial support. 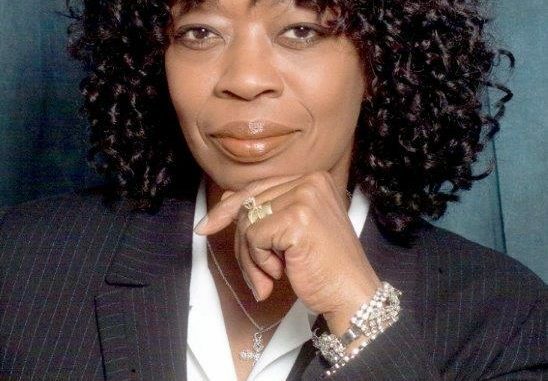 Visit SoundCloud.com/valderbeebeshow to hear the complete interview with Dr. Glenda Glover. Valder Beebe Show THAT CELEBRITY INTERVIEW on-demand video: ValderBeebeShow.com, 411RadioNetwork.com, Youtube.com/valderbeebeshow; PODCAST audio: Soundcloud.com/valderbeebeshow, Soundcloud.com/kkvidfw, 411RadioNetwork.com; Streaming TV Network, PChatman Network and VBS affiliate broadcasters. – Now available on 411RadioNetwork APP (download free in Google Playstore); Valder Beebe Show is a Power of 3 Women media influencer consortium partner. Do you also have a great job? Send us a comment: editor@myimessenger.com. We would adore hearing from you.